As is tradition, we're releasing a new Katawa Shoujo book at Comiket 93. 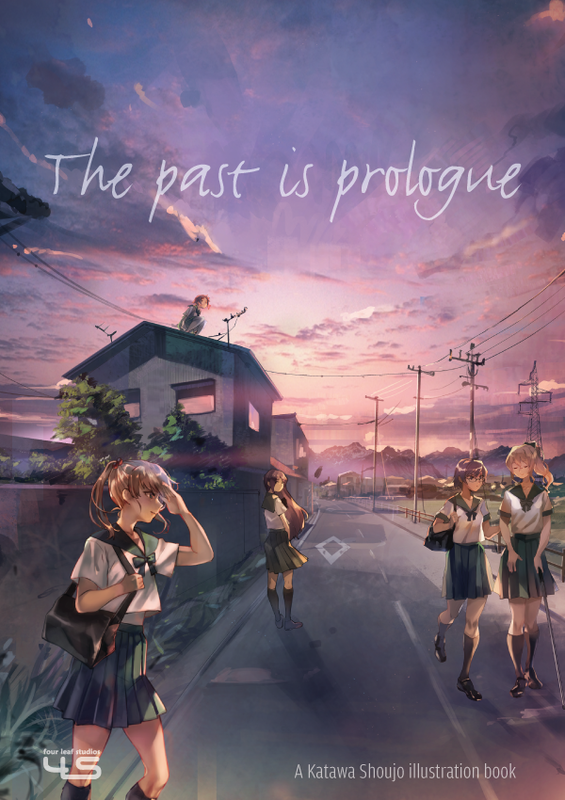 The Past is Prologue is a 24-page full colour book that features art by moekki, kamifish, konflikti and climatic, and a short story by cpl_crud, illustrated by weee. You can grab your very own copy at our table, at East Hall spot カ-24a on Friday, 29th of December. We'll also have a limited supply of older releases. Come and say hi!